We want to help you plan your visit to Greene County. If you have any questions, need help planning a day or weekend trip, or simply want more information, please complete the form below. 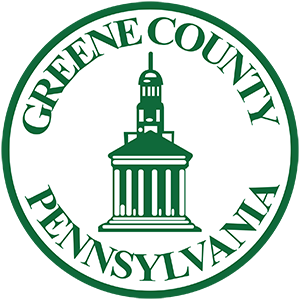 Located in the southwestern corner of Pennsylvania, Greene County is approximately one hour south of Pittsburgh and 30 minutes north of Morgantown, West Virginia. Interstate 79 spans the central portion of the county, and the Monongahela River borders Greene County to the east. Plan your self-guided driving tour exploring rural Southwestern Pennsylvania with Covered Bridges as your focal point. The brochure provides the essential information needed to plan a single outing or multiple excursions to 30 covered bridges spanning two counties. Take part in a celebration of rich history and beautiful countryside during the 48th annual Washington & Greene Counties’ Covered Bridge Festival presented by EQT. Each of the 10 festival locations offer a charming atmosphere and an array of activities including handmade arts and crafts, homestyle foods, historical re-enactments, crafting demonstrations and delightful entertainment. Held the third weekend in September each year, the Covered Bridge Festival is regarded as a signature event in the area and the official start to the Fall season. Since the county was formed in 1796, these rolling hills and vast acres of farmland have witnessed an untold number of people and events that have shaped the past, present, and future. From connections to the triumphs of local, regional, and national history, to remnants of horrifying tales of murder and death, Greene County has a rich and varied background worthy of discovery.